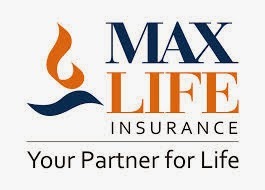 Private sector insurer Max Life Insurance Company has announced the launch of its two new products- 'Max Life Perfect Partner Super' and 'Max Life Whole Life Super'. As per the company release, both these products are compliant with the new guidelines of Insurance Regulatory and Development Authority (IRDA), which would be in-forced from January 2014. On the launch, the Director and Head (Product Solution Management) of Max Life Insurance Company Mr. V Viswanand said, “Our new offerings are compliant with new product regulations and have been specially designed as an attempt to re-emphasise the very basic purpose of life insurance-protection and long term savings." According to the release, Max Life Perfect Partner Super plan is tailored aiming at the customers looking a safe, systematic and self-completing retirement planning for themselves, with an option to secure the same for their spouses in their absence. While, the Max Life Whole Life Super retains features of the company's earlier product 'Max Life Whole Life Plan' including features essential to ensure flexibility and liquidity throughout the policy term. Max Life Insurance Company is a joint venture between Max India Ltd., an Indian conglomerate, and Mitsui Sumitomo Insurance Group Holdings, a Japanese insurance holding company.